Science is really beautiful. 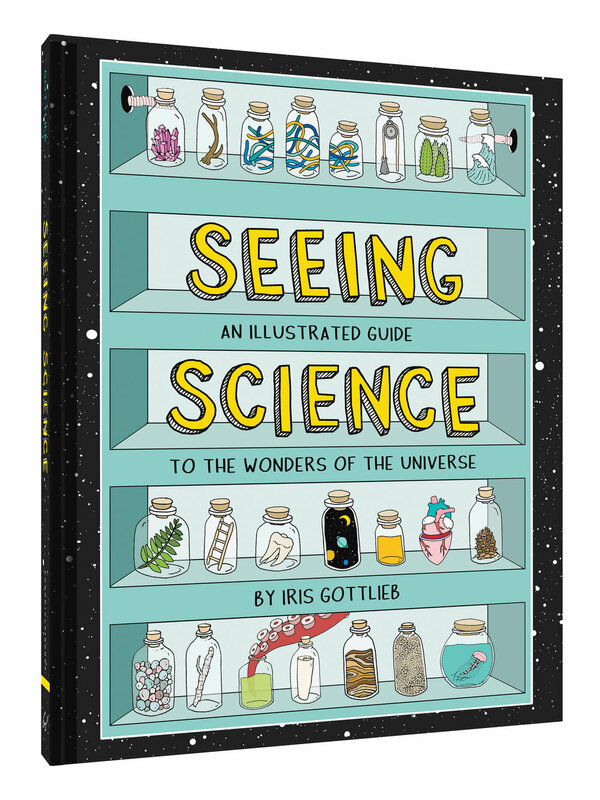 With original illustrations that deftly explain the strange-but-true world of science, Seeing Science offers a curated ride through the great mysteries of the universe. Artist and lay scientist Iris Gottlieb explains among other things: neap tides, naked mole rats, whale falls, the human heart, the Uncertainty Principle, the ten dimensions of string theory, and how glaciers are like Snickers bars. With quirky visual metaphors and concise factual explanations, she offers just the right amount of information to stoke the curious mind with a desire to know more about the life forces that animate both the smallest cell and the biggest black hole. Seeing Science illustrates, explicates, and celebrates the marvels of science as only art can. Best buds, frenemies, freeloaders, bullies, copycats, hangers-on. We re accustomed to all types of people and human interactions. But animal relationships can be just as weird and complex. For anyone who s everfelt a bit awkward in their relationships, wait until you hear about how complicated things get in the animal world. This funny and enlightening gift book depicts charming and unusual symbiotic animal relationships in all their awkward glory. Through delightful watercolor illustrations and funny yet scientifically accurate text, Iris Gottlieb explores the symbiotic relationships of 35 odd, cute, and unpredictable animal pairs. Here are stories of vampires, cannibalism, mimicry, parasites, and more. You ll learn a lot about nature--and human nature--as you recognize traits of your own friends, frenemies, and enemies in this insightful, amusing look into the secret lives of animals.